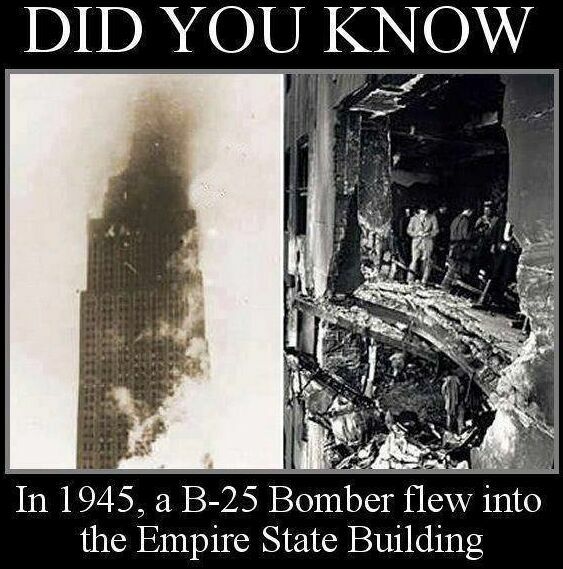 Did you know that in 1945 the Empire State Building was hit head on by a B-25 bomber? A large section of the building was on fire for hours, until they were extinguished. No part of the building collapsed. After that disaster, it became part of engineering code in NYC to ensure that all skyscrapers were built super redundantly, so they could easily absorb the impact of a commercial airliner.